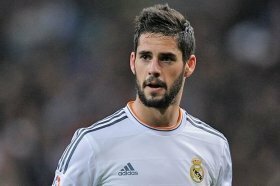 Isco heading for Real Madrid exit? Spain international Isco could reportedly be heading for a winter departure from Real Madrid after struggling for gametime under the guidance of manager Santiago Solari. The midfielder has failed to secure regular playing time since his return from an appendicitis operation and during this period, he has not managed a single league start. Amidst this, he has regularly been linked with a departure from the European champions and Goal.com suggests that his relationship with the club has reached a new low after snubbing the captain's armband against CSKA in midweek. Chelsea and Manchester City have previously been credited with an interest in the former Malaga man but neither find themselves in a desperate need for a reinforcement when the transfer window reopens. Aside from the Premier League duo, Juventus are the other team associated with the Spaniard and they could emerge as the leading candidates with their hierarchy keen on offering a strong challenge for the Champions League this term.